Opel’s Corsa has been in production since 2006, remaining virtually unchanged over the 7 year period. By today’s standards, it’s archaic. But General Motors German subsidiary is giving the Corsa a new breath of life with a mild facelift, including the continuation of the OPC model. Autoevolution has secured photos of Opel’s updated Corsa OPC undergoing testing at the Nurburgring. Much like the standard updated Corsa’s we’ve seen undergoing testing recently, the hot OPC version has received a redesigned front end resembling that of the Opel Adam while remaining virtually unchanged from the windscreen backward. The 2014 Corsa OPC may replace the old 1.6 turbo engine with a new, 200 horsepower version of the SIDI 1.6 liter turbo. In addition, we expect the restyled Corsa will receive a variety of interior improvements, including a restyled instrument panel and center console. Previous story Small GMC Crossover Inbound, Is It The Graphyte? Such as it is the big picture here is very good but the front part of the ADAM it’s not the right thing, I’m afraid. Adam is the exterior and interior, and unique of its kind and facelfit corsa was still quite nice. And this picture the Corsa Nürburgring Edition is super, both outside and inside. the new Opel Corsa OPC seem to be the bigger brakes and hope to be even better and faster, and it should still look good. 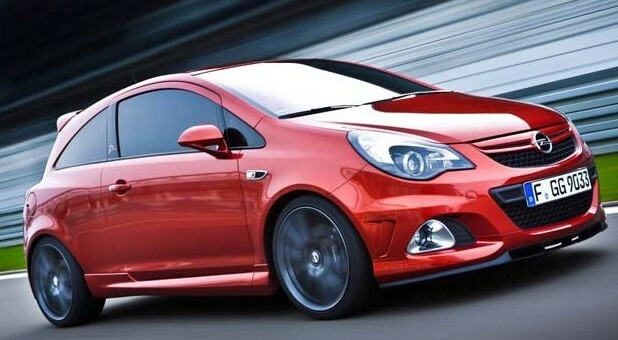 Current new pocket rockets are slower and more boring than the old ones like the old RENAULT CLIO RS which was a very strong circular paths and much more expensive sports cars and competed against him similar to the one shown here was the Opel Corsa OPC Nurburgring Edition What was even better. If the new Opel Corsa OPC fl be faster and faster circuit than the old Opel Corsa OPC Nürburgring Edition then it would be a very very strong weapon in the battle also more expensive, more powerful, and more sporting fanciest cars. I’m here for one of the two video corsast with the lap time and the second video is the last one and there has been added to the new times. This little thing looks to be a whole lotta fun. I like it. So where’s ours? This is like the Cobalt SS. Take a solid out dated car and make a nice sports package for it. The shame is many will overlook the car due to the age. I hope GM has a full replacement planned soon. It is not that this is a bad car but the other competitors are moving on and you can no longer let vehicles go unchanged more than 5 years anymore with out a price to pay. People today tend to lose interest and gravitate to new more recent models even if they are not as good. The SS turbo was a great car but many people passed it by as it was just an old car with a new heart and suspension. CORSA OPS IS FORD FIEST ST CLASS . and these small cars did and are doing very big things. unfortunately, the new models are even weaker than those of the old fiest st is better to be old but Old RENAULT CLIO RS was a crazy machine I put up a video.